Whether quick sketches or highly finished works, drawings reveal artists' creative impulses and their artistic process, providing viewers a window into the way ideas are transformed into images, and how artists navigate composition and design. Marks of Genius: 100 Extraordinary Drawings from the Minneapolis Institute of Art presents a selection of exceptional and rarely seen works from the museum’s superb collection of over 2,600 drawings. Ranging from the fifteenth century to the present day, the exhibition features pen and ink studies, chalk drawings, watercolors, and pastels that explore a wide range of subject matter, including depictions from nature, portraits, mythological scenes, and landscapes. The exhibition also features a selection of works from Joslyn’s permanent collection. Marks of Genius opened to the public at Joslyn Art Museum on Saturday, October 7, and continues through January 7, 2018. In Marks of Genius,masterworks by such artists as Annibale Carracci, Guercino, Eugène Delacroix, Edgar Degas, Gustav Klimt, Henri Matisse, Vincent van Gogh, Pablo Picasso, and Andy Warhol illustrate the manifold role of drawings as a means of study, observation, and personal expression, bringing to life the intimacy and immediacy of the artist’s hand. Artist as Observer features studies from nature, including people, flora, and fauna. 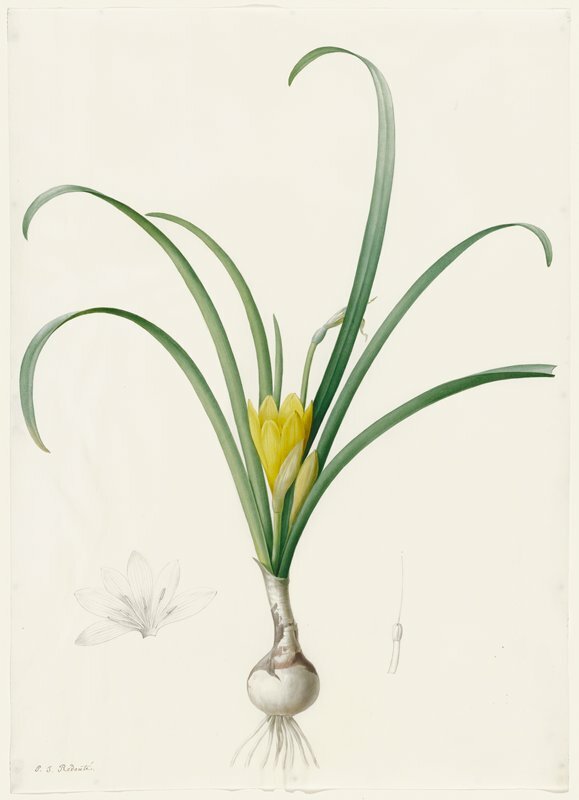 Showcasing Pierre-Joseph Redouté’s extraordinary observational and technical skills to depict scientifically accurate botanical forms, this drawing illustrates the flowers, leaves, stem, bulb and roots of the amaryllis lutea as well asthe plant’s reproductive system. It was later engraved for Redouté’s eight-volume publication of lilies called Les Liliacées (1802–16). Abstraction explores how artists approach both representational and non-representational forms through drawing. Ernst Ludwig Kirchner’s portrayal of a woman features bold and animated strokes of pastel and black ink to distinguish form. A member of the German progressive art group called Die Brücke (The Bridge), Kirchner found artistic inspiration in the works of Vincent van Gogh, Edvard Munch, and Henri Matisse. Storytelling presents drawings that have a narrative theme. Arthur Rackham’s intricately detailed drawing of Little Red Riding Hood’s encounter with the wolf was created for the 1909 edition of The Fairy Tales of the Brothers Grimm. Creating a sense of isolation and danger, Rackham contrasted the small, innocent girl with the towering, eerie woods. This lavishly illustrated book presents one hundred significant drawings from the 15th to the 21st century, including new discoveries and works by both celebrated masters and others who deserve to be better known. Among the artists represented are Annibale and Ludovico Carracci, Guido Reni, Giovanni Domenico Tiepolo, Antoine Watteau, Jean-Honoré Fragonard, Pierre-Paul Prud hon, Thomas Gainsborough, George Romney, Edgar Degas, Henri Matisse, Lovis Corinth, Ernst Ludwig Kirchner, Käthe Kollwitz, Otto Mueller, Emil Nolde, Egon Schiele, Edward Hopper, John Marin, Grant Wood, Roy Lichtenstein, Jasper Johns, Andy Warhol, and Edward Ruscha.